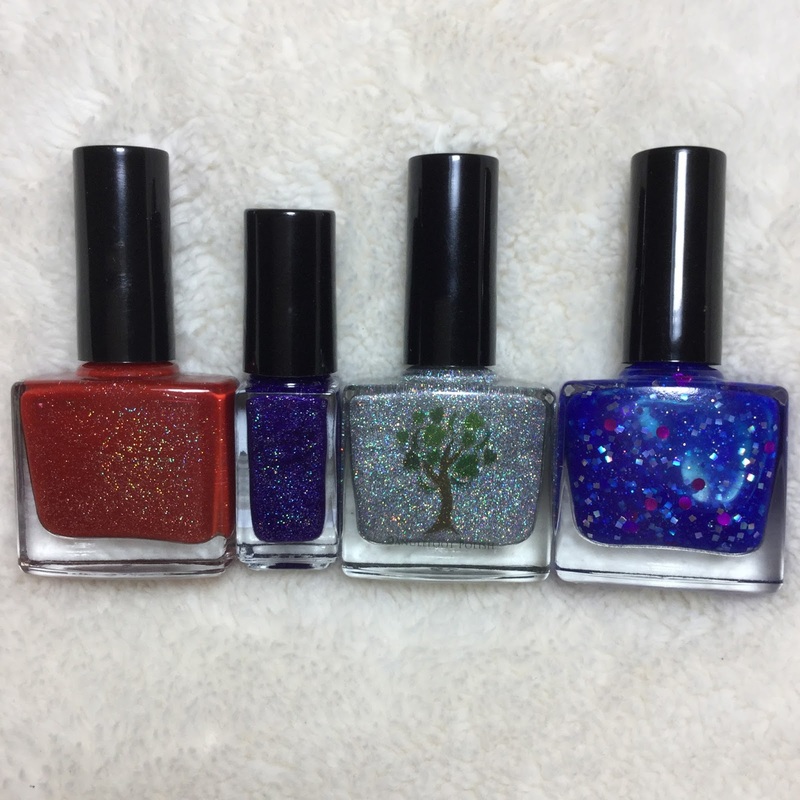 From left to right: 'The Snozberries taste like Snozberries', 'Love you berry much', 'Cosmic Girl' and 'George's Marvelous Medicine'. 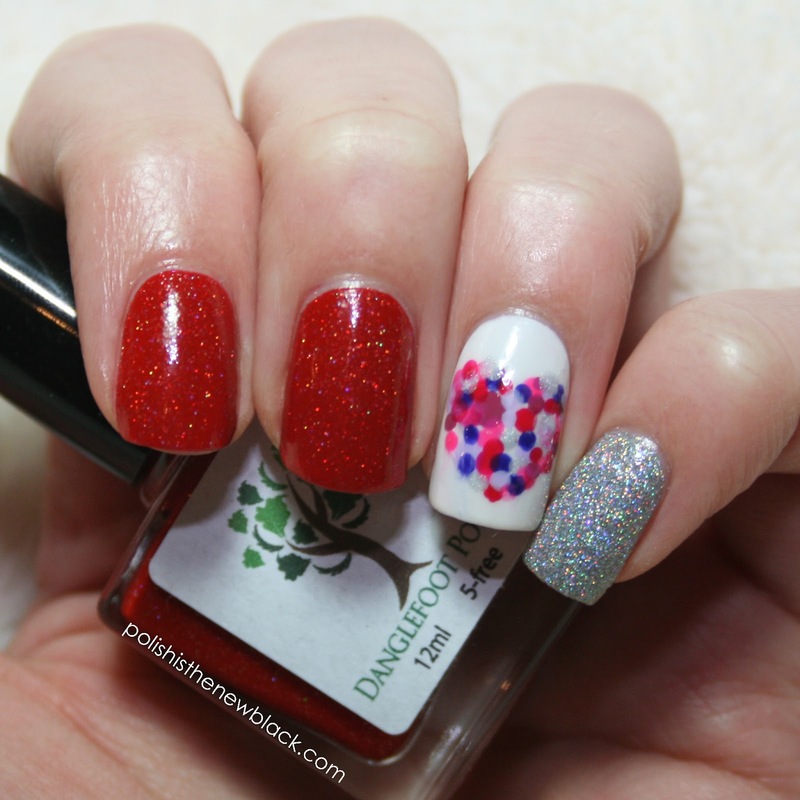 This is a gorgeous red holo polish: You may remmber I used it in my last mani pictured above! I think this is my absolute favourite. 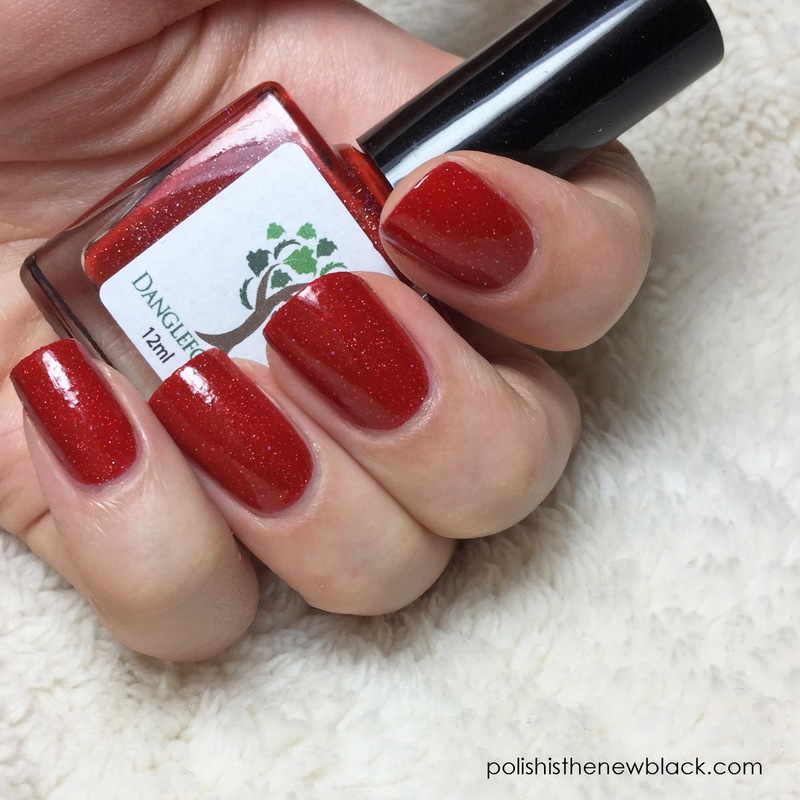 It is just the most perfect red polish with a really subtle holo shimmer to it... and when it catches the light, the shimmer is crazy! I feel the second picture shows of the holo a little better. 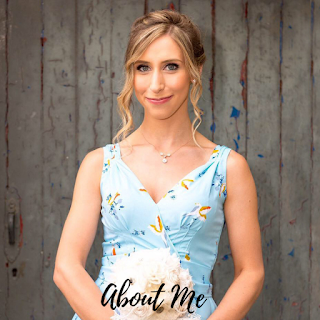 Unfortunately my dad has gone away for a few weeks and has taken his amazing camera with him which I normally use for all my pictures! So.... I've had to take my swatch pictures on my iPad and I just don't feel it quite captures the amazingness (yes I did just make up that word) of this polish. Something that I really love about this polish is that this was only 2 coats! Application was super smooth as it contained micro glitter and so almost dries smooth. I should also not how fast this polish dried! Honestly, I painted one coat and by the time I got to my pinkie my thumb was dry! I managed to photograph this baby with my Dad's camera before he left and it just looks stunning! This is a gorgeous purple holo polish. I did apply 3 thin coats of this one but it was easily opaque in 2! Application wasn't quite as easy as with Snozberries as this is a really holo glitter heavy polish but it wasn't at all difficult. This polish dries much more textured due to all the glitter, so I added top coat to smooth it out and give it a glossy finish. I LOVE this polish it is SO sparkly! It is amazing! Here, I am wearing 3 coats without a base colour. 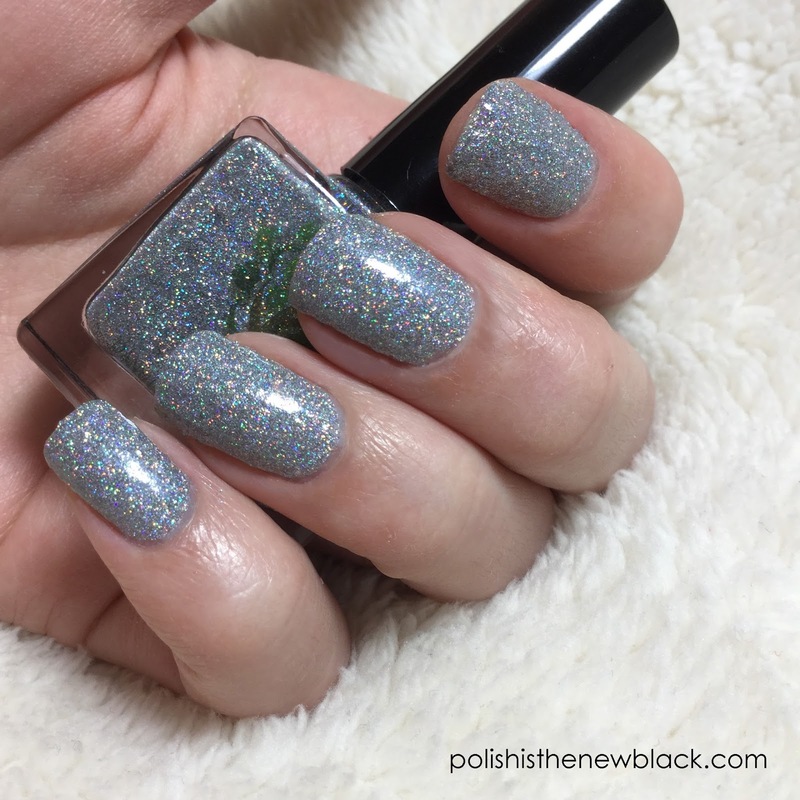 This is something I really loved about this polish that it could be built up for full coverage, as most glitter polishes need a base. It dries textured so I added top coat to smooth it out. 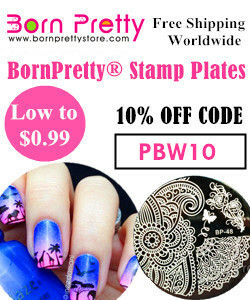 This is a blue jelly polish packed with circular and square sequins and glitter. Here I am wearing 3 coats as the blue jelly is actually quite sheer. I topped this with top coat to smooth it out. 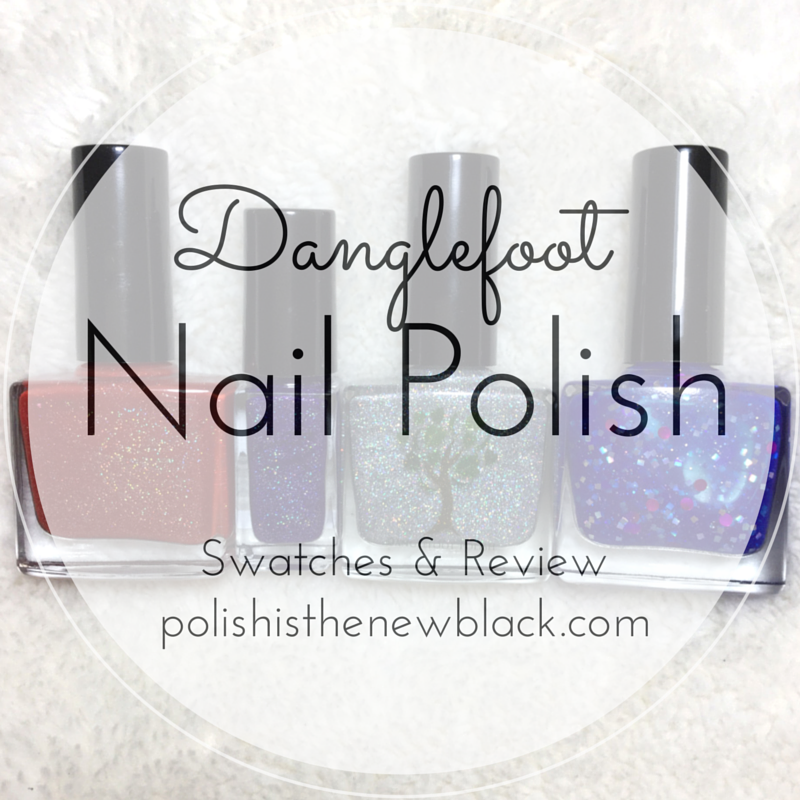 I was really impressed with Danglefoot nail polish. Each polish has been unique and so pretty! I will definitely be making more purchases in the future!